I’ve seen a couple of restaurants offering a fruits der mer platter recently, so thought i would give it a crack myself. The name is French and translates to “fruits of the sea”. It typically consists of a mix of shellfish, served over ice. 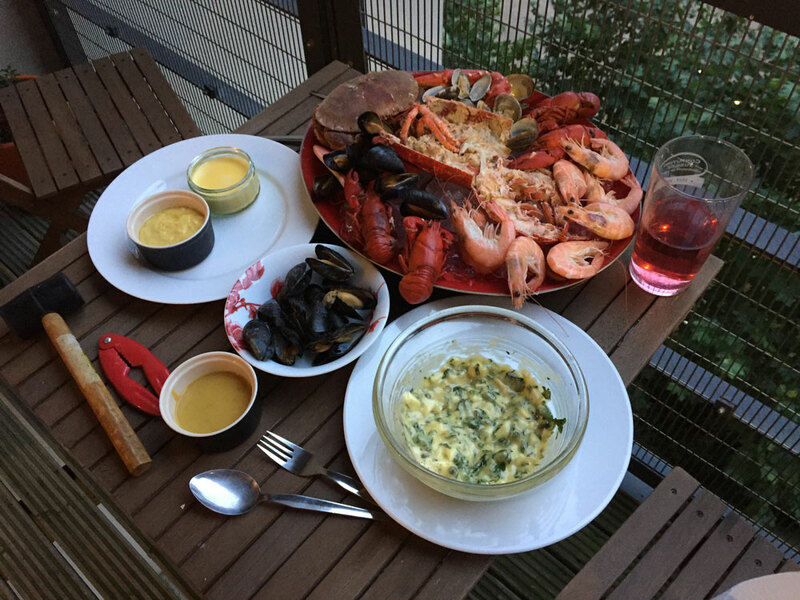 Mine included a lobster, cut in half down the middle, a crab, crayfish, prawns in the shell, muscles and clams. All of it was bought live from the fish market. I am not normally a lobster fan, but serving it on ice worked really well. 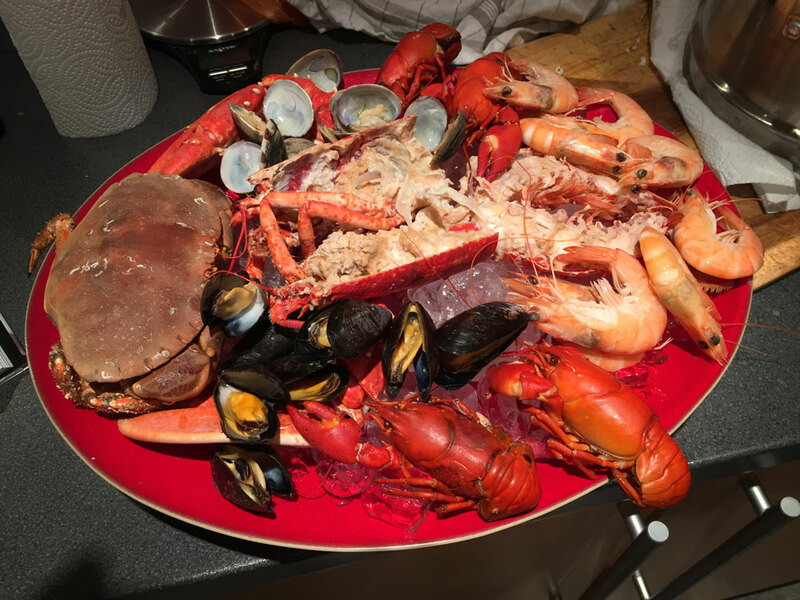 The downside of serving it all on ice is that it created a very slippy base: when carrying the platter the whole array of food slid from side to side, and I even lost a prawn or two moving it to the table. I served it with two mayonnaises. This was not the plan, but my first one turned out too thin, so I did a second one. 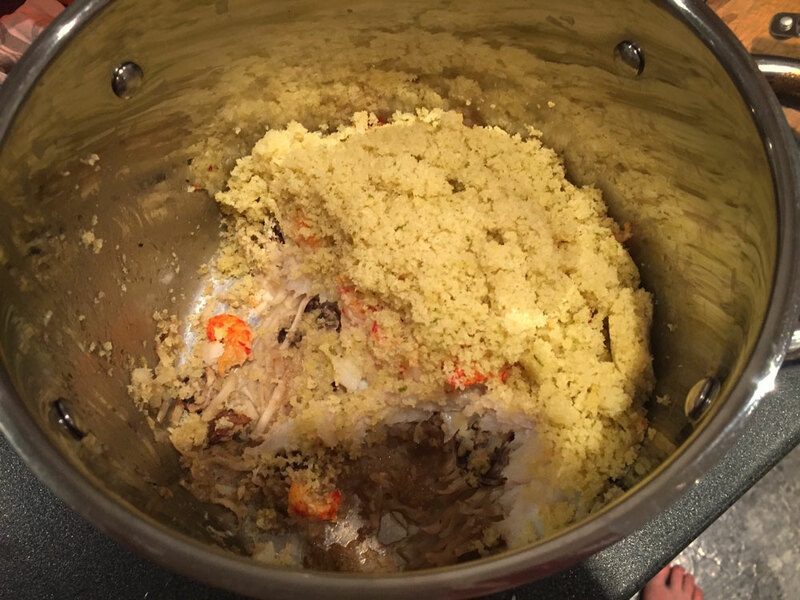 I also did a gribiche sauce, which is the pale one in the bowl and a honey mustard sauce (bottom left). I won’t be doing it again in a hurry: it was too much of a hassle. We never buy pre-made pizzas in at the Worfolk household. However, I had begun to wonder whether we would actually get better results buying them frozen. My homemade ones were okay, but not the magic I was hoping for. For one, I could not get them crispy enough. I even tried pan frying them. However, a few weeks ago everything finally came together. Reviewing what I did, I think it was a combination of all the different things I have been trying. So I have tried to codify them into one list. I use my stand mixer to knead, so it is easy to leave it running for a while. So I did. I did not time it exactly but I think it was in there for over 10 minutes. I also gave it a longer rise: 2 hours compared to 90 minutes. Your oven wants to be as hot as possible. Mine, like many domestic ovens, only goes to 250 degrees, so I turn it up to that. I have a granite pizza stone and I have been gradually increasing the time I put it in the oven to heat up. Now I put it into heat up for at least an hour, maybe even longer. If the pizza does not sizzle when it goes on there, it is not hot enough. I have tried spinning the dough round in the air, but not with any real structure to it. Now I use a proper system. Roll it out, then spin it. Does this a little at a time and repeat the process over and over. Each spin moves the dough to the edge of the pizza, so you can then roll that out a bit more. This allowed me to get the dough thinner than I have previously. When dressing the pizza with the sauce, cheese and toppings, you want to leave a nice thick border around it. 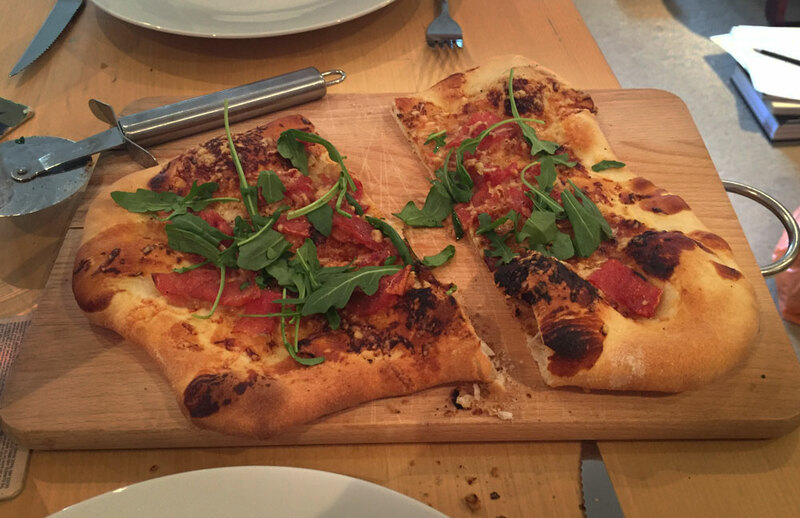 This allows the edges of the pizza to puff up and create a lovely light by crispy edge. I was using a metal peel (pizza paddle) because I was hoping the pizza would stick to it less. Actually, it turns out it sticks to it more. This meant I had to dust it with loads of flour, and so the base ended up tasting of flour if I was not careful. Using the wooden peel means I have to dust less, avoiding any flour left on the base. Recently I trialled using iA Writer as my word processor of choice for writing. Previously I would use Google Docs, which has been very good. It has all the features you would expect from a word processor and automatically generates a navigation structure on the left hand side so you can quickly jump around the document. iA Writer is very different in that it is a pure text editor. It uses the Markdown syntax, so instead of a WYSIWYG editor, you get text on one side, that you have to use markup in, and a preview pane on the other. The big advantage for me, over Google Docs, is that it can handle large files. Google Docs works great, but as you start getting up to 50,000+ plus it starts to really struggle. iA Writer handles these large files fine, but the rest is a mixed bag. 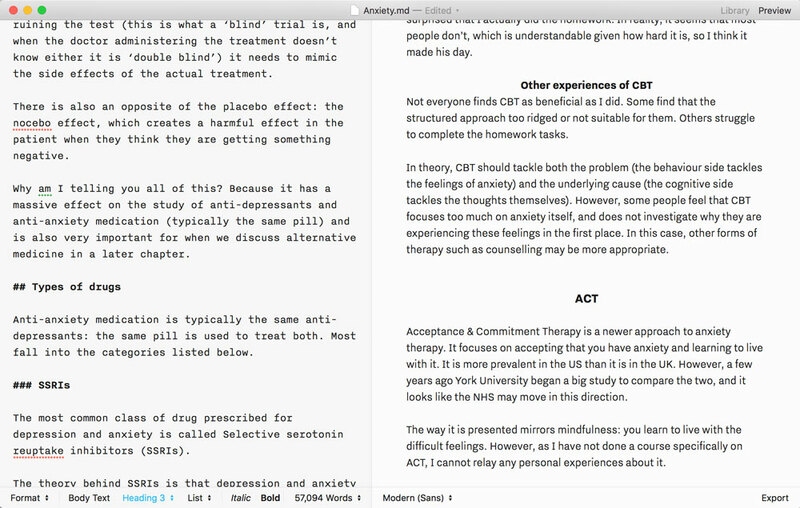 The idea behind iA Writer is to allow you to concentrate on the words. This is does very nicely. You get a simple interface that you can take full screen to remove all distractions, and the layout and style are well thought out. You can enable typewriter mode so the current line is always centred on the screen, though this feels a bit like a gimmick so far. You can embed images in your articles, but you have to give them a URL. Markdown requires this, but I would have expected URI support. So I could just drop an image into the directory and say image 5 is “example.jpg”. Not so. The only way to do it is to upload it to the web, or use a full file path, such as file:///Users/me/Documents/Book/images/example.jpg. This is one of the most annoying features: the text panel and the preview panel are not properly synced. As I scroll down one, the other one scrolls, but at a slightly different speed. Therefore the text and preview panel are always out of sync. You cannot see what you are working on, and if you scroll to that point in the preview panel, you lose your place where you are writing. Google Docs automatically generates a navigation bar on the left, based on all of your chapter titles and sub-headings. iA Writer does not do this, so the only way to navigate around a large document is to remember all of your headings and use the text search to locate them again. This comes up a lot because you have to put references in the bottom of the document, so I am constantly scrolling down to the bottom, adding a reference, then trying to find where I was writing so that I can insert the appropriate footnote marker and continue working. iA Writer is a nice piece of software. However, it feels like nobody has put a really large document in there and thought “is this usable?” Given it is specifically targeted at writers, I am not sure how they imagined it would be used, or maybe did not think through the use-cases beyond somebody writing fiction linearly. 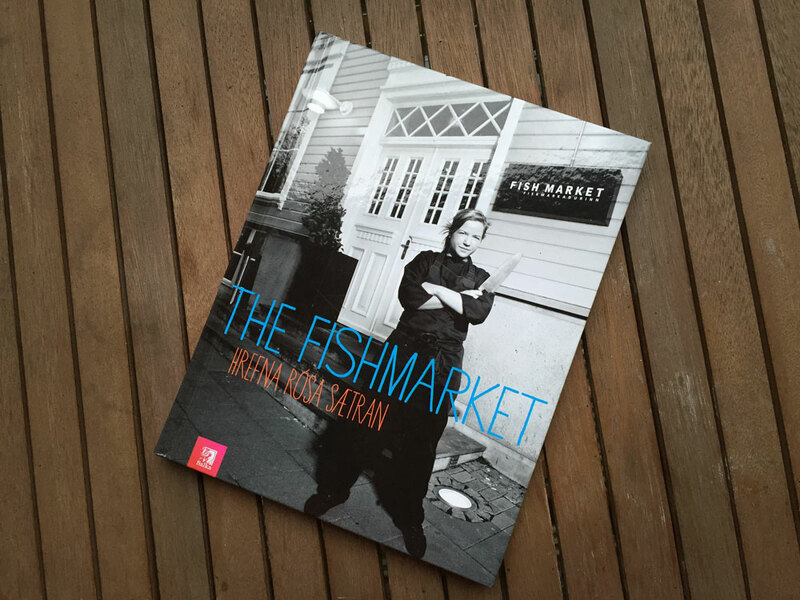 In June we travelled to Iceland for our honeymoon, and were very impressed with a Reykjavik restaurant known as The Fish Market. So impressed in fact, that we shelled out for the cookbook while we were there. The production values are high quality. Once you get past the menacing photo of head chef Hrefna Rósa Sætran wielding a knife on the cover, you find a hardback book, just under A4 size with a full colour photo of every dish. This is everything I want in a cookbook. The recipes themselves are a bit more challenging however. I struggled to follow a lot of them. Perhaps they make more sense to a trained cook, but I could have done with many of the blanks filling in. The photography of the dishes is quite artistic and therefore, even though you have a photo, it is not always clear what you are aiming for. I haven’t written about much from the book, but here is the breaded pork tenderloin I made. The language can also be a bit confusing. It is written in American English, rather than proper English. I was struggling to find shrimp chips, until I realised they were prawn crackers. A few times I wondered whether the translation had become a bit muddled. Some of it appears to be in need of a proofread too. The hot chocolate cake recipe for example: it says “melt the chocolate and water in a double boiler.” There is no water in the recipe, but there is some butter that is never mentioned. The word was almost certainly supposed to be butter. This resulted in a lot of the recipes being duds for me. I simply couldn’t re-create them, and even when I could, they did not even resemble the picture most of the time. Then there was the search for ingredients. Leeds has twice the population of Iceland, and four times the population of Reykjavik. Why can’t I find these ingredients? We did venture in to the Thai supermarket and international supermarket, with some success, but there is still much on my list that I have not been able to locate. Not that that is the book’s fault of course. The cheesecake made an appearance at my Gran’s birthday party (left), my Grandma’s wake (right), a dinner party and one just for Elina and I. When the recipes did work though, they were delicious. The pomelo and papaya salad with sweet cashews have quickly become a go-to salad for parties, and the white chocolate cheesecake is so easy and so delicious that we have had a continually rolling batch of them on the go for about a month now. It might not be the most practical cookbook ever. However, it has produced a few tasty recipes and is a lovely way to remember our trip. 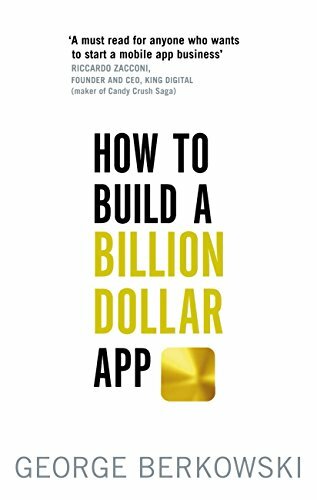 In How to Build a Billion Dollar App George Berkowski takes you through the stages of coming up with a mobile app from concept to being a billion pound company. It is based on his story co-founding taxi app Hailo. 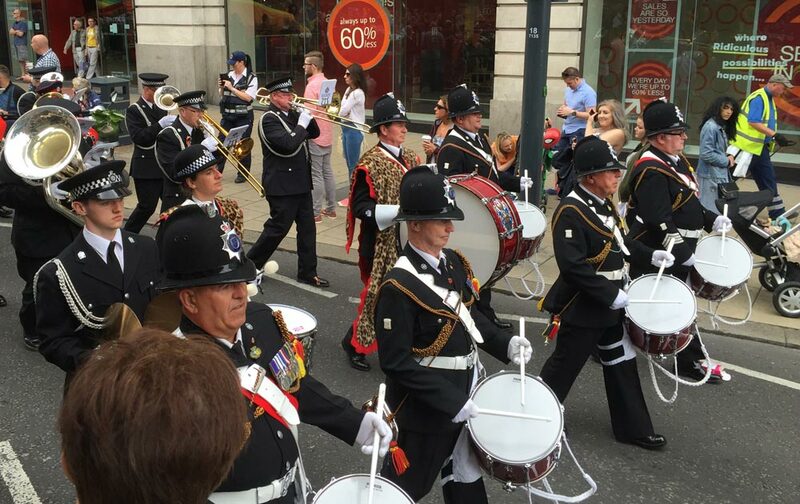 As you might expect it is a pretty whistle-stop tour of each stage of the business. However, it provides a good overview with various comments and advice that Berkowski brings from his experience at Hailo. He stresses the importance of getting the product right for the market and how you should be measuring growth, two of the keys to getting a successful product out there. While it is a good overview, I am not sure how much I am going to take away from it. Compared to something like The Hard Thing About Hard Things which offers plenty of specific and useful advice, this is more of a general guide to the journey. The one thing I did really like was a list of concepts that have universal appeal to humans. This is great for brainstorming ideas from. I also found it interesting that he recommended having one Scrum Master for around 12-15 engineers. I have worked at a number of companies that do agile and a typical setup in the UK would be one Scrum Master to around 3-5 engineers, a considerably different ratio. Which cookbooks are the most useful? We don’t often repeat recipes in the Worfolk household. There are so many amazing cuisines, cookbooks and ideas out there that we try something new almost every night. However, there are some recipes that are tasty enough, quick enough or reliable enough that they are reused on a semi-regular basis. As you might imagine from knowing me, I keep them on a spreadsheet. I thought it would be interesting to analysis how many recipes from each cookbook made it onto the spreadsheet and therefore which cookbooks have stood the test of time. I have linked through to the review, where one exists. * indicates I am still working my way through this book. This isn’t an exact science. I re-use some recipes more than others. If anything, Veg Every Day deserves to be higher because I use that a lot, whereas although I have marked Easy One Pot as having a recipe I would re-use, I certainly don’t go for it anywhere near as much. It is also unfair on some of the books. A lot of the baking books for example are full of amazing recipes that I have yet to try, but one might day and find they are definitely keepers. 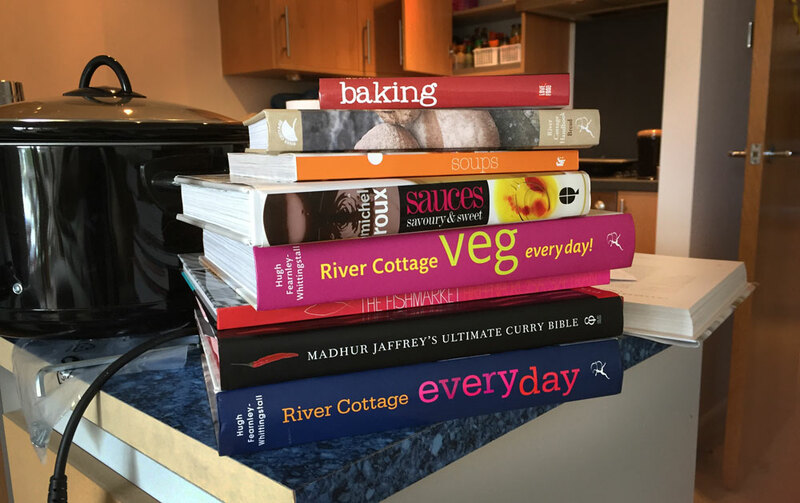 Based on these figures, it seems sensible for me to recommend River Cottage and Mary Berry cookbooks. River Cottage consistently does well. The original River Cottage Cookbook isn’t really a cookbook, it’s more of a book about self-sufficiency, so it is not surprisingly it did not do well. The River Cottage Fish Book did not score so well either, but it was fun read. At the other end of the table, both of my favourite River Cottage cookbooks are storming ahead. Mary Berry is also on the recommendation list because I am working through my second cookbook of hers at the moment and that is also going to score well. Plus they’e excellent for easy meals and dinner parties as they almost always contain instructions for making in advance. UPDATE: Since writing this, I have finished working my way through Mary Berry Cooks that added 8 new recipes onto my spreadsheet. That puts it in third place behind the two River Cottage books. 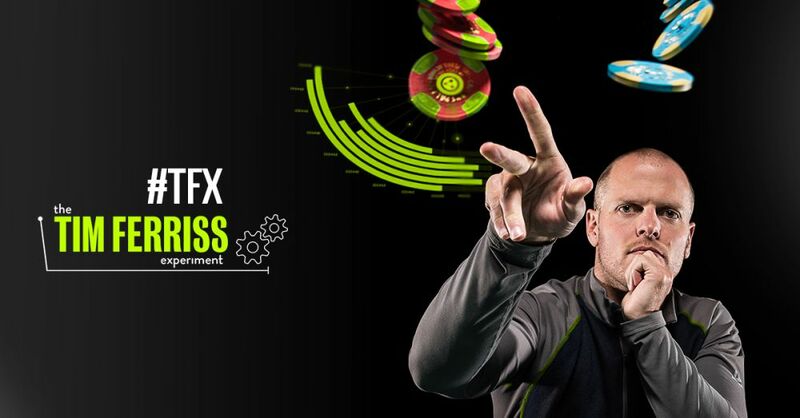 Tim Ferriss, the author of the The 4-Hour Work Week, created a TV show called The Tim Ferriss Experiment in which he tried to apply speed-learning techniques to a number of different challenges. He tries his hand at rock and roll drumming, golf, rally car driving, helping someone start a business and more. He has some success: he plays one song live with a famous band, and makes par on his second hole of a golf course. He also puts a rally car in a tree. It is somewhat interesting, but I suspect it suffers from the compact format. Each episode is 22 minutes long, which isn’t enough time to really see his journey. He meets an expert, gets a few tips and then completes the challenge. It all looks too easy and you don’t really learn anything. The episode on him helping his friend start her own business is perhaps a little better, but not by much. The website also has some bonus material for this episode. This is typically a 10 minute interview with the expert, that again falls under the category of somewhat interesting. 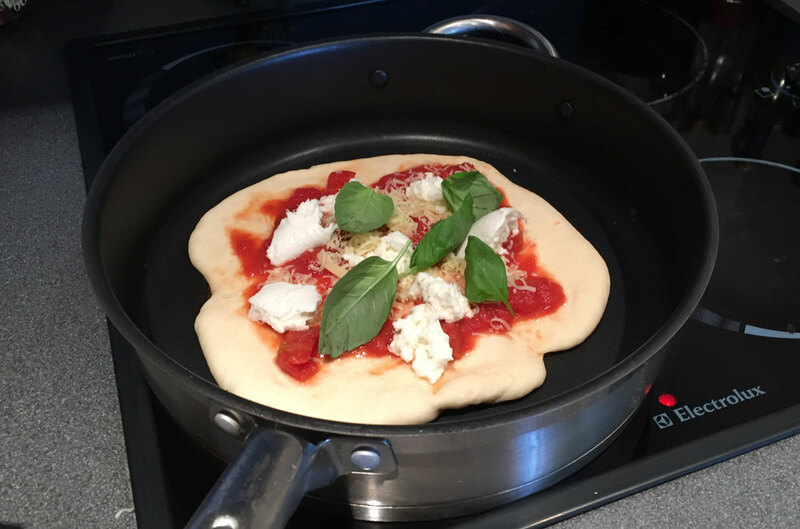 As my quest to make a better pizza continues, it occurred to me that when I cook flatbreads I fry them in a dry frying pan, so maybe I could apply the same idea to my pizza. It turns out that I am not the only person to have had such a crazy idea. A recipe from Pizza Pilgrims details how to do it. I didn’t actually read their instructions, but immediately took heart that it could be done and set about trying it for myself. I heated my sauté pan on the hob, put the pizza base in, dressed it as it was cooking, and then put the sauté pan under the grill to cook the top. Results were mixed. I did get a crispier base, but not as crispy as I wanted it. Maybe the pizza itself was too thick: it is difficult to get it fully cooked all the way through. Also, I only have an electric grill, which is a rubbish kind of grill. I am an adult: give me some flames! My next plan is to build a clay oven on the balcony. 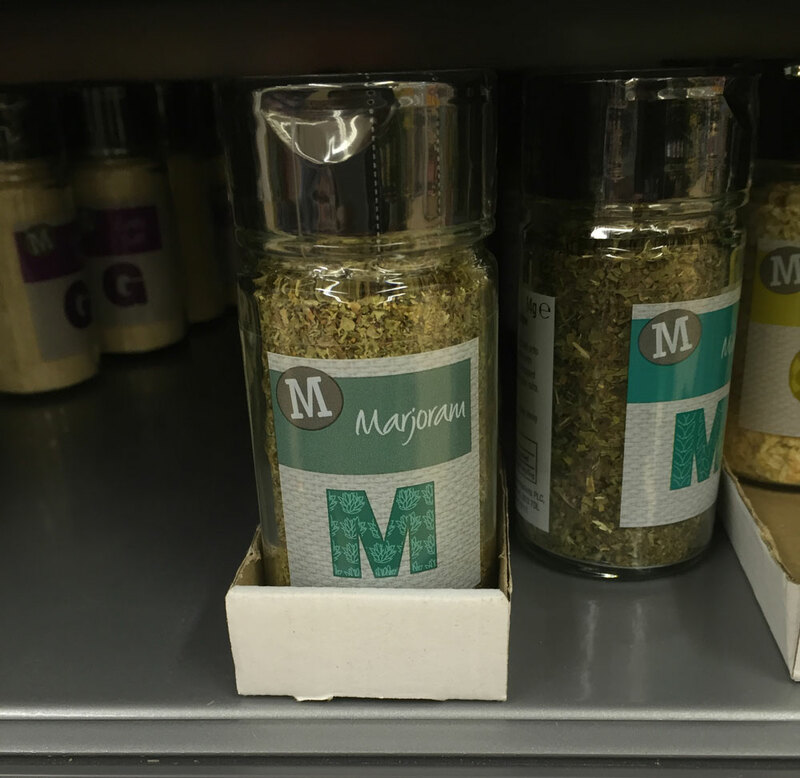 Morrisons have spelt marijuana incorrectly. Maybe they have been smoking too much of the merchandise?